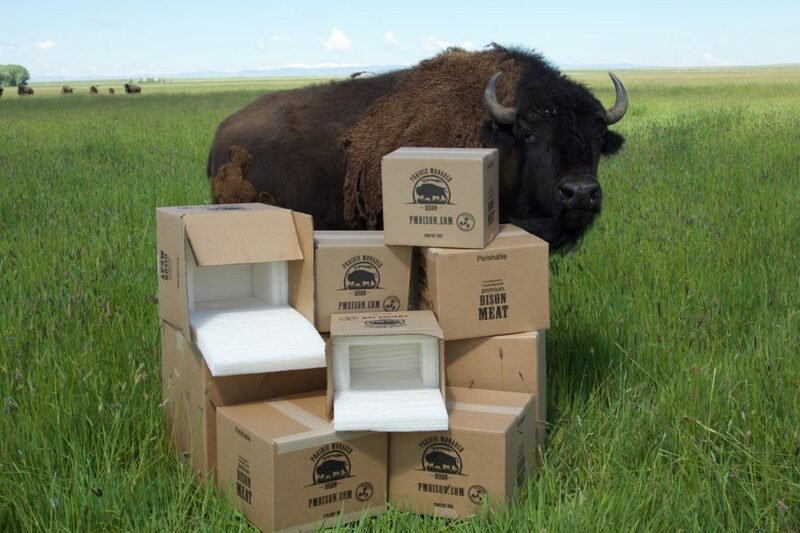 Prairie Monarch Bison is committed to a sustainable food system and that means a biodegradable shipping policy. All orders ship to you in a starch-based biodegradable shipping cooler inside a sturdy cardboard box. Simply compost or dissolve the insulation in water and recycle the cardboard. We ship all orders by Tuesday following the placement of your order. Orders received after 6 pm MST on Mondays will ship the next week. We ship packages using UPS 2nd Day shipping or guaranteed ground if the transit time is one or two days. We only ship within the US including Alaska and Hawaii. We do not ship to PO Boxes. We reserve the right to delay releasing shipments due to weather, natural disaster, or any other circumstance that would potentially cause your order to not arrive safely. At Prairie Monarch Bison we stand behind our products. If you receive a package that has been damaged please contact customer service at 1-888-927-7892. Please make sure to have your order number available.